William Morrow Paperbacks, 9780062255662, 208pp. 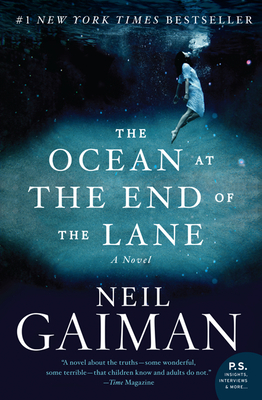 A brilliantly imaginative and poignant fairy tale from the modern master of wonder and terror, The Ocean at the End of the Lane is Neil Gaiman’s first new novel for adults since his #1 New York Times bestseller Anansi Boys. Neil Gaiman is the #1 New York Times bestselling author of more than twenty books, including Norse Mythology, Neverwhere, and The Graveyard Book. Among his numerous literary awards are the Newbery and Carnegie medals, and the Hugo, Nebula, World Fantasy, and Will Eisner awards. Originally from England, he now lives in America.